I am a terrible "blogger"
I have this blog page, and yet I have not written on it in over a year. Just wanted to share a little of what was on my mind. I want to first of all say that I feel extremely blessed. I don't know if everyone gets this lucky in the wedding business but I literally feel like I have had THE best couples. All of my couples this year have been amazing and beautiful. So thank you, for spoiling me and making these weddings films so enjoyable. I also feel blessed for all of the support I have received in trying to start this business. You all know I am not a "business" person, so that part has had it's challenges. It has also been hard to balance my time and I have hurt people in the process. I appreciate everyone still standing beside me and understanding the difficulties that come along with working full time, and trying to run a full time weekend wedding business. In the past 14 months I have had the privilege of filming in the Caribbean, Alabama, California, Tennessee, Mississippi, Alaska, Arizona, and I have a wedding in North Carolina this weekend (woo hoo! ), and in South Carolina and Florida in a few months. I have loved the travel aspect most of all, and I hope and pray more destinations continue to come my way. I don't even know where to begin to describe this past weekend. I was so honored to be a part of Kayla and Austin's special day. It was my first destination wedding to not only film, but even to attend. It was beautiful. However, the beautiful view couldn't even compare to how beautiful Kayla and Austin's love for one another was. I've never seen two people more in love. It was the kind of love that people envy. The kind of love that is so evident, you don't even have to know them to be able to tell how in love they are. The kind of love that inspires complete strangers, like myself. Having known some of Kayla's extended family, I have been following her journey for the past couple of years. When I met her for the first time this weekend, she treated me as if I was one of her best friends. Her kindness and joy radiated to everyone she came in contact with. Her and Austin and their families were so welcoming and literally the nicest people on the planet. Their love for each other made filming them so easy. The photographer, Sarah Griffith, and I were literally in awe of how perfect every moment was. Kayla was the most beautiful bride! And the tears streaming down Austin's face as she walked down the aisle was like a scene from a movie. There was not a dry eye there, including myself. 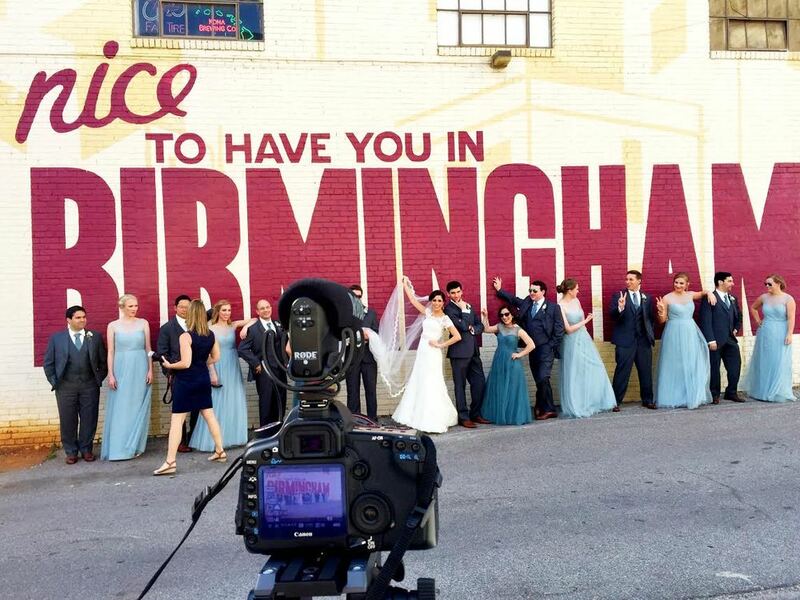 I am confident their wedding film is going to be one of the best ones yet! Please visit Kayla's amazing organization Open Hands Overflowing Hearts (openhandsoverflowinghearts.org) and let's do our part in helping raise money for research to END pediatric cancer! Another wonderful wedding weekend. Maria and Greg were wonderful to be around. Their laugh and energy was contagious. After filming the rehearsal dinner and hearing all the good things their family and friends were sharing, I knew they were going to have a beautiful wedding day. I met Maria when I worked at Children's Hospital, we worked on the CVICU together. Although it had been 2 years since I've seen her, she hasn't changed a bit. She was still as sweet as ever was the most calm collected bride I've seen yet. Her and Greg were perfect for each other and I cannot WAIT to edit their film. Stay tuned to see it in the next few weeks.